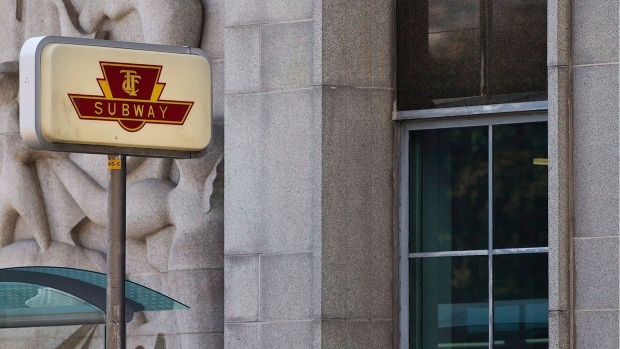 Transit riders travelling through midtown Toronto should expect some delays this weekend, as a portion of the Line 1 subway will be closed due to construction. Subway service along Line 1 Yonge-University will be suspended between Lawrence and St. Clair stations on Saturday and Sunday while Metrolinx crews work on the Eglinton Crosstown. According to the TTC, shuttle buses will supplement service along that portion of the line. Customers can board the buses inside the bus bay and exit on St. Clair Avenue East outside the station, and all other stations can be accessed at street level. Streetcar service between St. Clair and St. Clair West stations will also be suspended this weekend due to planned repairs. Buses will operate along that stretch of St. Clair Avenue. The TTC said that Wheel-Trans will be available upon request during the weekend service suspension. The Eglinton Crosstown LRT is scheduled to be complete in 2021.